Michael brings over 18 years of expertise in Identity Document authentication and verification. 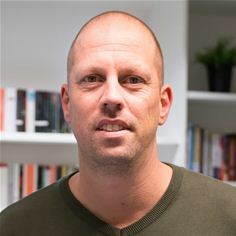 LONDON, February 22nd, 2018: Leading identity verification provider Onfido today announces that it has hired Michael Van Gestel as Identity Document Fraud Consultant. The document fraud specialist brings over 18 years’ experience in Government, technology and educational roles, and will help the company further enhance its document checking solution as it expands into new territories. Onfido helps businesses digitally onboard users by verifying their government IDs and comparing them with their facial biometrics using machine learning. Founded in 2012, Onfido is now a team of 150, has raised over $60m in funding, and work with over 1,500 fintech, banking and sharing economy clients globally – helping them onboard more users while cutting costs and risk.